Ingenious Blomberg technology can actually help you refine your culinary skills! Flexible-power burners offer pre-set options for more precise cooking at different temperatures. The 20,000 BTU setting delivers high heat to speed up preparation with a fast boil or sizzle. Switching to the 675 BTU setting automatically adjusts to gentler heat, ideal for simmering delicate sauces, melting chocolate, or cooking fluffy rice like an expert. Blomberg ranges are designed to be intelligent as well as stylish and efficient. Safety is built in, with automatic re-ignition should a gust of wind, a spill, or a boil-over extinguish the burner flame at any time during cooking. Blomberg believes in making life easier. Our energy-saving convection oven uses a fan and exhaust system to circulate hot oven air and cook food faster, more evenly, and with more beautiful results—think perfectly browned roasts and golden baked goods. Because your time and effort are valuable, Blomberg coats the entire surface under the cast-iron burners with attractive, long-lasting, non-porous enamel that makes cleaning your range extremely easy—a damp cloth is all you need! For a pro-style range that will be the marquee of your kitchen, Blomberg includes a large, oval-shaped center burner perfect for getting expert results from recipes requiring an oversized pan or a griddle. 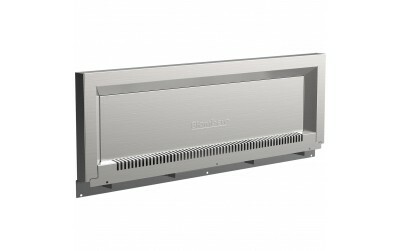 For top performance, Blomberg uses high quality cast iron grates atop its sealed burners. Durable and practically indestructible, the supports promote even heating and cooking and withstand high temperatures. 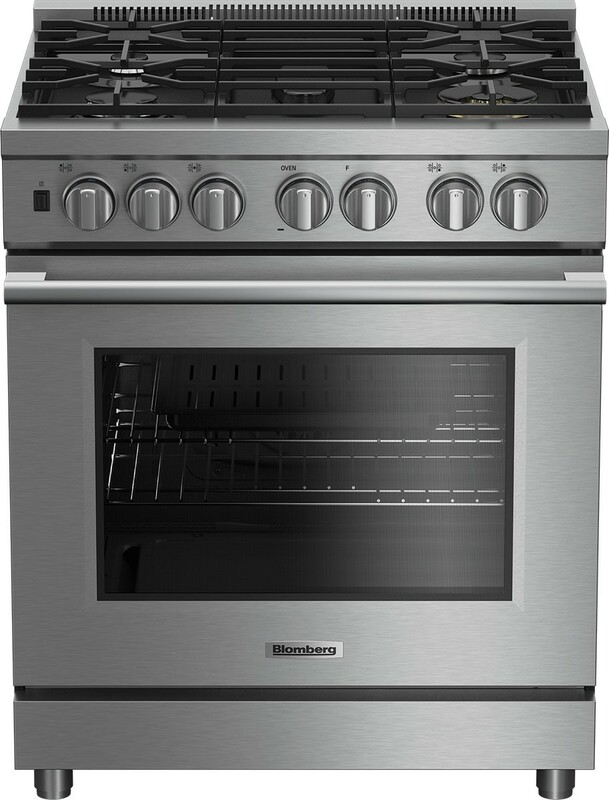 All Blomberg gas ranges feature oven broilers equipped with a gas safety device that automatically cuts off the gas supply if it senses the broiler flame has been accidentally extinguished during cooking. 30" Pro-Style Gas Range is rated 3.6 out of 5 by 11. Rated 1 out of 5 by dmkin from Looks great...oven unreliable This is the second Blomberg 30" gas range I have had since November 18, 2018. There is no way to control the oven temperature consistently whether on Bake, Convection Bake or Convection Roast. There is virtually no way you can get the temperature at 375 degrees for a recipe no matter how hard you try. If you set it at 350 degrees and check the temperature, it can be anywhere from 425 degrees down to 275 degrees within 10 minutes without opening the door. I thought my temperature gauge was wrong so we purchased an expensive heat gun only to find out it is the oven that is the problem, not the gauges. If I could get the oven to work correctly, it would rate it much higher. I'm ready to call back the store I bought it from and replace it with another brand. Rated 5 out of 5 by BobbiHere from I love it! I bought this over a month ago and am so glad I did--it's gorgeous, cooks, bakes and roasts beautifully and is easy to clean. My turkey was fabulous, and gravy cooked evenly on the central (grill) burner. Everything cooks fast, so it took some adjusting to, and I miss a stove clock, but that's tiny in return for its great features. Analog means no expensive future fixes. Rated 4 out of 5 by Ejadcliff from This company cares We purchased our range about a year ago and had some issues with it- did not get the level of service from the dealer we expected. My wife wrote a review on here and since then the response from Blomberg has been exceptional. I can honestly say that they not only care, but follow up immediately to make things right. You can trust Blomberg and this range is meeting my expectations once the issues have been resolved. 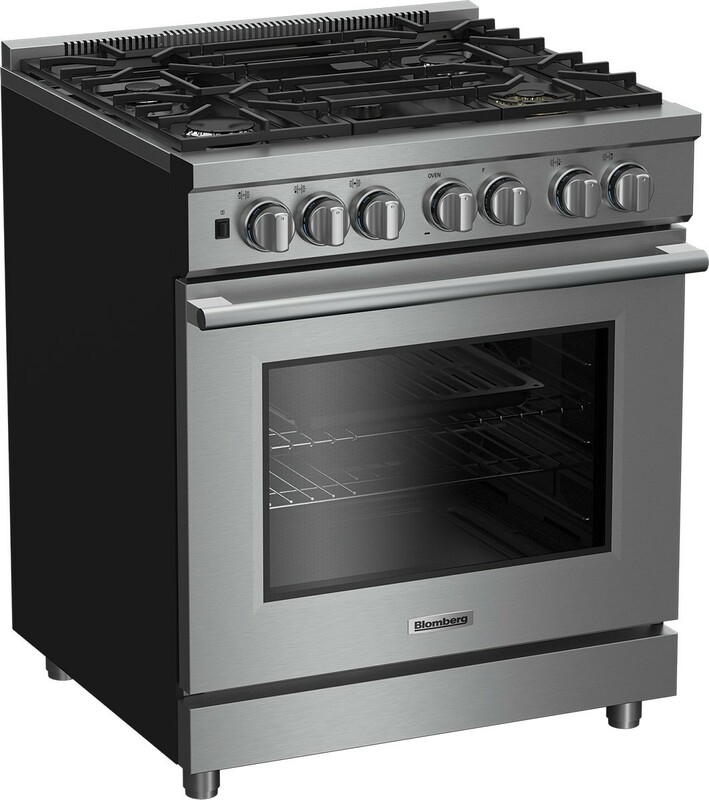 While not inexpensive, this range looks and works comparable to a Wolf or Viking range. The quality of the workmanship is very good. Rated 5 out of 5 by Noblr72 from Restaurant Quality Perfection I bought this gas Range Sept 2018 and have been extremely pleased with its performance. 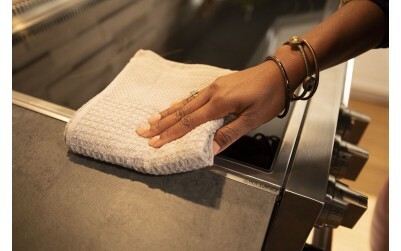 It is very easy to clean (especially the stove top) and use. I have used the convection bake and roast function several times, the results were fantastic. It far exceeds the quality and performance of my previous gas range. Rated 5 out of 5 by sojo1 from Everything I wanted! We bought and installed this stove in July. I had been looking for a good, solid, pro style stove for over a year. 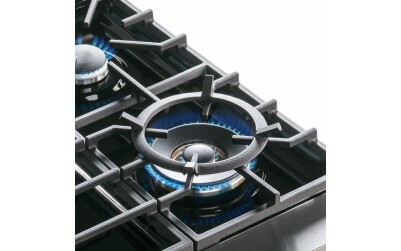 There was always one thing or another that wasn't right until this Blomberg gas stove. 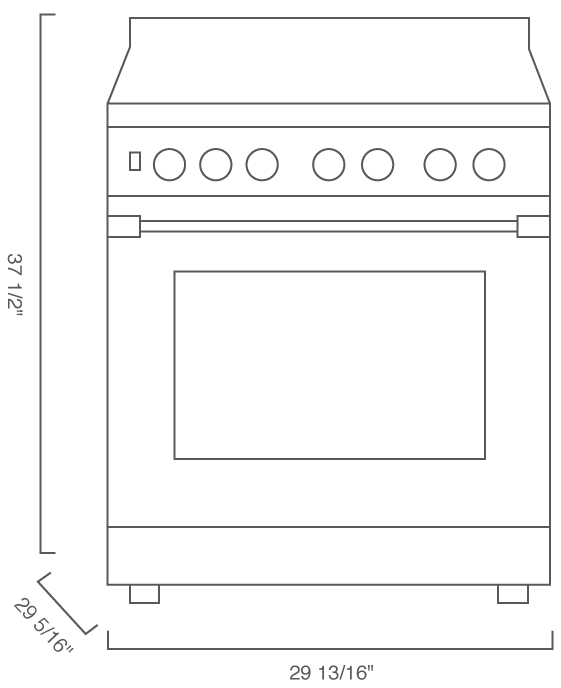 We purchased the stove from Basco Appliances in Portland, Oregon. The sales person that we worked with said that they had very good responses from people regarding this stove so we took the leap. Mind you, we bought it based on the online specs from Blomberg and the very honest opinion of the sales person based on the reviews of the people who had purchased from this store. I have been absolutely thrilled! The stove has no touch pad or computer, timer or clock which is exactly what I wanted. 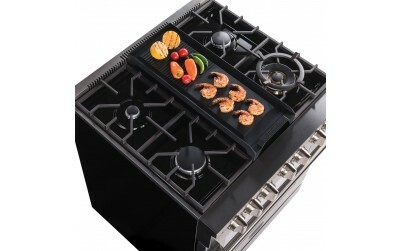 The stove is spacious and the three racks are easy to pull out and push in. The middle burner is wonderful when using a grill pan. There is plenty of power and varied flame levels. Plus it comes with a removable wok holder and a broiling pan. I have used everything on the stove except the convection and the self-cleaning. The cook top is easy to keep clean. I have been cooking up a storm and am amazed at the excellent results I am getting. I expect this stove will last a very long time! Rated 3 out of 5 by P654ik from Professional look I bought this appliance 11months ago. I was looking for low maintenance stove , specifically no electronics and not a stainless steel top which this stove has. However I would of liked to have a thermometer for the oven. There is no way to know how hot is the oven. So I bought over thermometer and placed it inside oven on the shelf which is very inconvenient. The biggest flat is being this is a slide in stove there is always a gap between counter top and stove and this stove does not have the crumbs guards. So I had to buy those separate and they do not stay firm. Rated 1 out of 5 by Slksaia from Knobs fall off! Metal knobs fall off because they are getting too hot. Defect? CustomerCare is know where to be found. They were replaced once already. I paid $2300 for this stove. Please replace, bought a dishwasher too because I liked the stove. I trusted your company. Rated 4 out of 5 by Wife stress from Great overall feel and performance of quality. A very sturdy range with good quality materials and seems to be well built in general. Heavy duty grates and general feel. Very basic and easy to use as would be expected in a commercial type product. Cool accent lighting for the knobs. Very spacious oven. I like the fact that it is raised of the floor for easy cleaning. Also has the self cleaning oven feature. The only reason I would not give it a 5 star rating is because there is no timer for the oven which I feel is a must for baking.